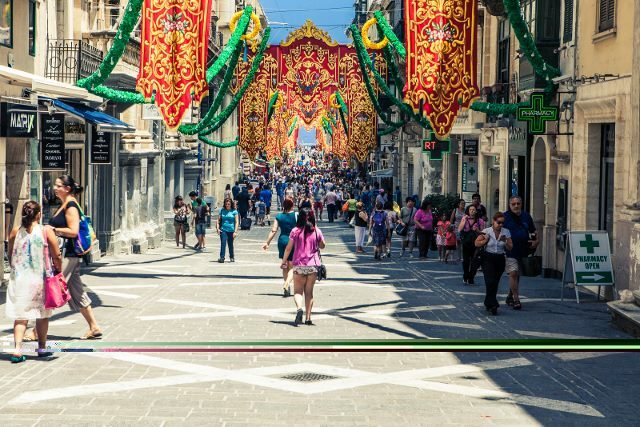 Main streets are decorated with a variety of colourful banners, flags and other festoons, food and drink stalls line the ways with locals all in a festive mood. 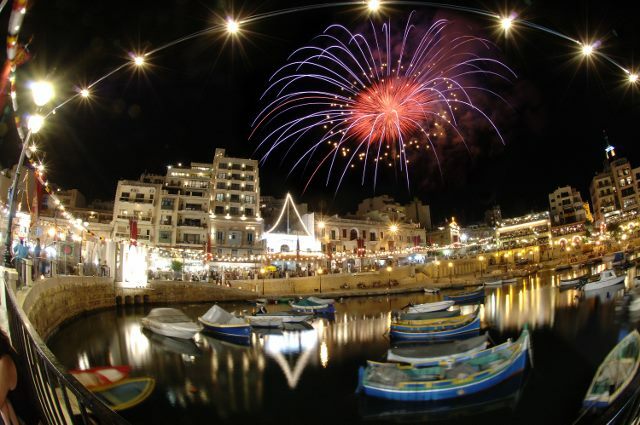 The feasts normally last between 3-5 days leading up to the main event which is normally finished with an explosion of colour – a spectacular aerial and ground fireworks display. One such feast is that in St Julians which takes place on the last Sunday of August each year and it includes the somewhat different tradition of the Greasy pole. The Greasy Pole – an unusual celebration dating back to the 1800s, several competitions take place during the St Julians feast where contestants (made up of local residents) attempt to make their way up a greasy pole and grab the increasingly difficult flags at the top. The gostra (a 30 foot long pole) is suspended over the waters edge in the Harbour and smothered in grease, one by one contestants attempt to run up and grab a flag. Win or lose you end up in the water, but if you win, you get the glory of collecting a flag and quite possibly a bruise or two. 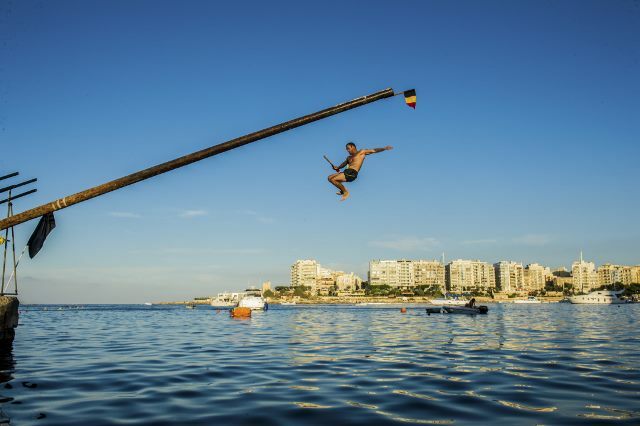 The atmosphere, all round fun and some spectacular dismounts from the pole make this event a popular one for the spectators and well worth a visit if your travelling to Malta in late August. St Julians is just one of many feasts that take place throughout the summer between May to September with one almost every week. Make sure you check out if there is a feast near you and enjoy the local culture and festivities which make a great day out for everyone.